Well done, folks! We've made it to the end of yet another week. This week brought us a bonkers bug situation in Final Fantasy VII and even more rumours of new Switch models coming this year, so it's probably about time we unwind by discussing our weekend gaming plans. Team Nintendo Life has just done that below, and we invite you to join us in the comments and poll. Enjoy! 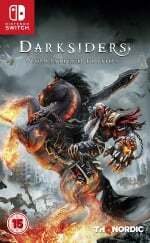 This weekend I'll be returning to an old favourite of mine, the Darksiders series, as it finally makes the leap to Nintendo Switch. I've completed it twice already on PS3 and PS4, so I'm in a good position to judge just how well this comic book-style action adventure stacks up on new hardware. Let's hope it's good enough to get Darksiders II and maybe even Darksiders III if we're lucky/it's even possible. Have a good 'un! This weekend is all about the adorable, wonderful, bundle of joy that is Yoshi. 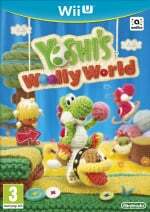 Yes, Yoshi's Crafted World has arrived and it'll likely take up most of my evenings for the foreseeable future. Their relatively gentle nature make Yoshi games perfect opportunities for me and my partner to sit down and play together. She's not the biggest gamer, but the cute, cuddly aesthetic of Yoshi's Woolly World on Wii U was enough to get her interested and we had a great time exploring everything there was to see together. Crafted World was the first time she asked me to buy a video game rather than the other way around, so I wasn't going to say no! Honestly, I’ll probably just be playing Yoshi’s Crafted World this weekend. There’s something so satisfying about the realistic look of crafting materials inside of a game. Would I ever play a game with these items in real life? Nope. Would I play with fake versions on a screen? Apparently so! It’s adorable, the demo won me over, I’m burned out on my backlog and itching for something new to try... Well done, Nintendo - you dropped this game right about when you knew everyone would be getting bored. Cheers! 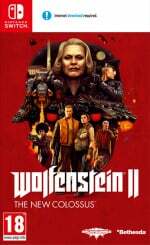 This weekend I shall be diving back into Wolfenstein II. I bought it ages ago on sale but got sidetracked by other games after the first few levels. I'm probably a third of the way through and I fired it up again on a whim this week and was amazed at how good it looks! Sure, it doesn't hold a candle to the versions on other platforms, but on its own terms I think it looks fantastic - better than I remembered. Maybe it's been patched up the wazoo, or maybe I just have a horrible memory, but I'm looking forward to battling a whole bunch of nazis this weekend. OBJECTION! It’s 2019 and I have never played or owned any previous entry of the famous Capcom lawyer’em up, but that changes this weekend with the glorious Phoenix Wright: Ace Attorney Trilogy having arrived from the Far East. 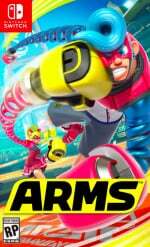 But law is out the window in this weekend’s ARMS Party Crash Bash: if Ninjara is eliminated, me and the entire Ninjara nation will riot on the streets. A quiet, silent riot because hey... we are really good ninjas. Cute platforming shenanigans are also on the way with Yoshi’s Crafted World and Unravel Two going back and forth in the Switch cartridge slot. My game of the week goes out to the lovely Ultrawings. 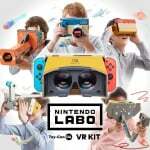 I truly hope there is an update in the near future to make it support Labo VR. It is also a stark reminder we deserve a new Pilotwings. I might cave and get Yoshi tonight after work. Doubt it though, as I’m incredibly cheap and $60 seems like a lot. This week I will mostly be playing Yoshi's Crafted World and Final Fantasy VII. I really like Yoshi so far. @justin233 Get it. Its really fun. A few years ago I bought A Link Between Worlds for 3DS and couldn't get into it but a few days ago I deleted my save data and started again and now I'm addicted. If Link's Awakening is anywhere near as good as this, I'll be playing that for a long time. I might even need to put Animal Crossing Switch down for a bit! Most likely just yoshi all weekend for me. Its really fun so far. A bit of smash actually too, I'll be participating in a online tourney saturday night. I choosed Snivy as my starter Pokemon since i will choose Oshawott for Black version 2 once i got my order from Ebay. Still at the beginning. I got Basic badge after beat Cheren. Still need to find another Pokemon with higher level as my partner since i will get EXP Share very late. Competition between Ribbon Girl and Ninjara. I play as Ninjara for this Party Crash Event. I'm gonna be spending all of today doing some renovating and cleanup, so most of my gaming will be tomorrow. This past week I downloaded FFVII and Splatoon 2 so those will get most of my attention. 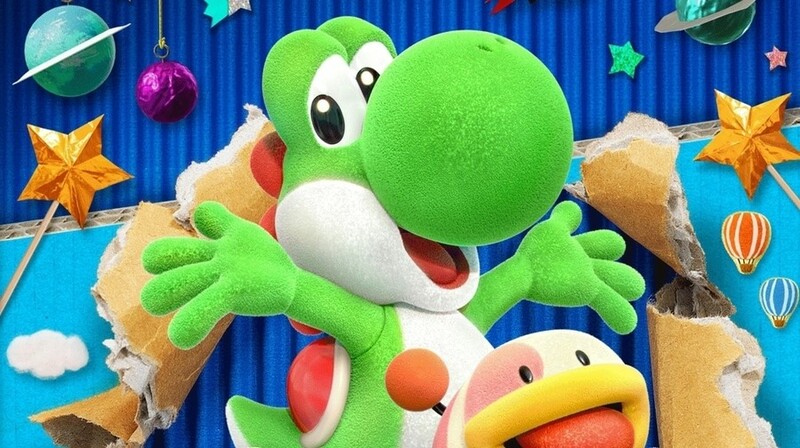 When my money situation is a bit better (decided to get a new PC yesterday) I'll buy Yoshi's Crafted World. I loved the demo! Yoshi, Division 2 and of course Tetris 99! Final Fantasy VII, Alex Kidd and Yoshi!!! I bought Wolfenstein 2 for PC, on Switch I'm enjoying Gems of War and Blaster Master Zero 2. Yoshi looks too pricey for not enough content. Will play when it becomes a Nintendo Select— I feel like this “wait until it’s $20” list is getting kinda long for me on Switch. I’m content to play Wargroove on Switch and Sekiro on my PS4 Pro this weekend. Super Smash, if it's in stock locally. Otherwise Civ6 and trying to get to the modern era. Started with some Pro Evo last night, might try and get in some Sekiro too. I'm not sure what I might play on Switch, if I do pick it up it will probably be Night in the Woods. I don't really like it very much so far but it is short and I feel I should complete it now. This weekend I'm pushing on with Mario & Rabbids, Hollow Knight and throwing my Joycons at a wall whilst playing some more Enter the Gungeon. I'll be playing god with a colony of ants! 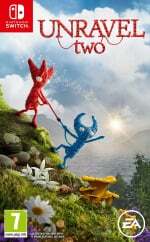 Just kidding Pikmin 2 is calling my name, similar concept i guess. Lots of Final Fantasy VII for me, with breaks here and there for Yoshi’s Crafted World. Yoshi. Bought the physical copy with a free gift, for 20% less than Nintendo's download price and I should get back 40/50% trade in price. So it will have cost me £20 to play Yoshi and with a mixed and somewhat negative review, it will still be good value. And someone will buy the traded in copy and no more revenue will go to Nintendo. But still they keep their downloaded price high. Based on the reviews if the only option was to download at 50 quid, I would not buy this game. Rant over. But the demo seemed OK.
Am playing Kirby and the Rainbow Paintbrush on Wii U and Bowsers Inside Story on DS (the bug free version 😉). Enjoying both games but sadly I do think the DS version of Kirby is better. I’ve just finished the first dungeon in Persona 5. I rarely get time with the telly, so this is going to be slow progress. I hope it comes to Switch. My day 1 3DS had seen better days, so I’ve picked up a new 3DS XL while they are still cheap. Good timing too as there are loads of Atlus SMT/EO games I haven’t tried, and none on Switch yet. (I’m sure once they have their engine up and running with SMT V more Atlus games will come). I’ve downloaded Revenge Of The Gator (loved Kirby’s Pinball Land on my GB), Gunstar Heroes (already got on Switch, but 3D), Earthbound (My Nintendo discount) and SMT Devil Survivor Overclocked to freshen up my library. I hope to play around with some of them this weekend. But I have an overnight trip to London on Tuesday, so I’ll be taking my 3DS with me. I'm stuck at the last level of Wargroove and right now have to take a break of it playing Apocalipsis: Wormwood Edition. Will try to finish Wargroove this weekend though (main campaign). Apocalipsis is not very long, so I might finish that aswell. Looks and sounds good. Like the artstyle and the setting. Don't really like the controls though. Also I might continue Final Fantasy XV Pocket Edition. I hate how the characters faces don't move at all while being fully voiced. Doesn't make any sense. But it was on sale and I liked the rest of the artstyle enough. Never played Final Fantasy before. The combat seems pretty basic in this. But it's fun and charming enough and won't take too long to beat. Probably will get Final Fantasy X/X2 as my next attempt in the series. I am LOVING Trine 2. The visuals are stunning, the voice-over narration is charming, and the puzzles and platforming are mellow enough to not be stressful but challenging enough to stay interesting. I can’t believe I just bought it for 11 bucks. I can’t recommend this game enough. Happy weekend and happy gaming! Snake Pass, Hollow Knight, and The Sims 2. Don't know what I'm going to play this weekend yet, though I'm leaning for Space Ribbon on Switch or Lovely Planet on Wii U as I got them due to the recent indie sale. After seeing the news on Mario & Sonic 2020, I may play one of the games from that series now. @erdem I’ve never heard anyone else on here mention reading for work. I’m a bookseller so it piqued my interest. If you don’t mind my asking, what novel and what kind of work? 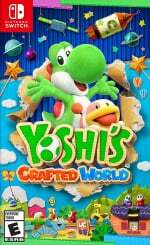 Will be picking up Yoshi's Crafted World later today so that and also more XB1. Decided to hunt down the rest of the Halo 5 skulls as the multiplayer has been encountering technical difficulties the past few weeks. Yoshi! Picked it up after work yesterday and really enjoying it so far. I really want to give Yoshi's Crafted World a go, but my backlog is already too big. I need to control my temptation lol. So this weekend I'll be playing some more The Princess Guide. I also picked up The Mark of the Ninja, which I'm really enjoying. And I've been playing Gems of War, a free to play game, which has some puzzle quest aspects to it, which is fun. Finally I'll be setting sail again this weekend in Neo Atlas 1469. Still trying to 100% Wargroove. Also got the Paladins champions pack 50% off so I'll give that some time. Just finished Castlevania Rondo of Blood (100%'ed, jay!). Nearly as good as Castlevania IV I reckon. Not sure whats next. Maybe finishing Link's Awakening or continuing Yakuza Zero and Final Fantasy X. Sat down with a cup of coffee and tetris 99 this morning only for the power to go off just as i booted it up. No wifi = no tetris! Oh well, maybe I'll get chance later at some point. Might try and fit in some more botw too. Gone back to it to do the dlc, but enjoying just exploring the areas i didn't bother with when i first played the game. Think i got a bit fatigued first time round (after almost 150 hours so hardly a problem!) and wantex to move on to something else, but revisiting hyrule after a few months away reminds me just how great it is exploring in this game. My other game this weekend is 'avoid reading the comments' after disappearing down a rabbit hole of despair last night in that nlife 'story' about minecraft and its creator. Yikes, don't know why i punish myself sometimes. I could have been playing video games rather than watching people argue! I got a pretty bad hand injury at work last week that is making it extremely painful to play video games for more than a few minutes. Probably going to play some boardgames this weekend, I'm thinking about busting out Legendary: Marvel. Slim pickins from the staff this week. For me it's been Blaster Master Zero 1 (sequel hype), Kamiko (throwback), and Battle Princess Madelyn (sale). Will grab Yoshi when I can. Super Smash Bros Ultimate, Mario Tennis Aces, Pokémon Lets Go Pikachu and Blaster Master Zero 2 for the Switch. Dead or Alive 6, Tekken 7, and Shadow of the Tomb Raider on PS4. I will be playing Yoshi mainly which I am absolutely loving a lot more than I thought I would.If all Yoshi games are this much fun i have been missing out. I am stuck on Chapter 15 on Valkyria Chronicles 4 so will give that a rest for a while. I also started playing Goken on Switch,a cheap little rpg that I hadn't even heard of until I saw someone on YouTube playing it and it's surprisingly good for a cheapie. On Ps4 I'll be continuing my adventure in Final Fantasy XII. @JasmineDragon Sorry about your injury.I have arthritis in my right thumb which can prevent me from playing games as well as other things so I feel your pain. Well Yoshi was on my list of weekend gaming but I've brought and started playing project high-rise......damn it's an addictive sim. Learning how all the mechanics work and now trying not to be a slumlord lol. Plus binding of Isaac updated so I'm diving back in to continue my quest to 100% the game. First unlocking the forgotten. Then the last 30 secrets. So yeah....poor Yoshi I think will fall into the black hole of backlog I have. FFVII and Yoshi are keeping me plenty occupied. I'll be working on Yoshi this weekend. Gotta say, I didn't expect it to hook me this much. But in all honesty, the chill, laid back attitude of the game is everything I need right now, so I'm not going to complain. I've been playing A LOT of NBA 2k Playgrounds 2 lately. It's a really solid amalgamation of the NBA Jam and NBA Street games, and they have been getting consistent free updates every few months (including a create-your-court feature that was added in last month's update). I've also been working on 100%ing Mario + Rabbids, as well as playing the new Toejam & Earl. So many games! Fallout 3 on Xbox One. One of the greatest games ever. Finally got a TV for the basement, so now I've hooked all my consoles back up. Replaying ZombiU this weekend. Just finished Cosmic Star Heroine yesterday. Starting on Octopath Traveler today. After a couple months break, I'll be getting back into Final Fantast XIV today. I also forsee myself clearing my current run of Secret of Mana and possibly finding time to start up Seiken Densetsu 3. Yoshi's Crafted World. I mean, duh!! @JoeDiddley Those are some truly great 3DS picks. I also had a brief trip recently & opted to bring my 3DS instead of the Switch. Didn’t play it too much, mostly on the plane, fiddling with a few eShop downloads I had overlooked such as Picdun 2. Not a bad game for its budget price, actually. It’s no Etrian Odyssey, but it’s more clever than I expected. So many games to play on the Switch as well. I find myself repeatedly drawn back to various rogue-lites. Have been playing Nuclear Throne heavily since its shadow-drop last week. And it always easy and fun to pick up and play Downwell. Interesting. Less choices........ hmm...... I guess you just want alot more of other people to choose something else. @sfb great games. I went on a bit of a rogue lite binge on Switch last year. But recently I’ve discovered srpgs so I’ve been busy exporing a lot of them. I love Downwell and last year I was hoping for Nuclear Throne to come. It’s on my watch list for either when it gets a discount or the mood takes me. I'll be doing some Stardew co-op with friends! I didn't intend to, but somehow talked myself into buying FFIX (my first FF) and got super excited. Had plans to buy FFX to start with but nope, brain had other plans I suppose. I like it overall but find the battles a bit annoying and slow. 25 degrees, I'm staying outside and tonight maybe some Mario Party with friends. Playing through Crafted World, I guess. Will probably play some more Joy Mech Fight on the Famicom App. Introduced my Poke-crazed kiddo to Alpha Sapphire. Now he's 12 hrs into it on his dino-skinned 2ds. Will be helping him and his Sceptile this weekend. Also some Yoshi CW and of course...Warframe. Still completely hooked on Hollow Knight, think I'm in it for the long haul. Then thinking about finally doing the BOTW DLC next for a change of pace. Hey Nintendo brothers and sisters!! Big deal if you are an Amazon Prime member!!! Link your Account to Twitch for Twitch Prime bonuses (free for Prime members) and get three months of Nintendo Switch Online for free! After 60 days you can then claim an additional 9 months!!!! And in addition to that if you are already subscribed it will roll that free membership over to the next year. I'm sorted until September 2020!!!! I'll primarily play the games of Clean House, Vacuum Dirty Car, and Wash Pile Of Dishes today (Saturday) with hopefully a little Bravely Second: End Layer thrown in. If I'm lucky, that'll clear out this evening so that I can continue exploring the trashed Bottle Ship in Metroid: Other M.
The weather is supposed to be way less wet tomorrow, so I'll likely get out and supplement my new Pokemon Go addiction a little. Nothing on Switch,... just going to rent Yoshi on my cousins account whenever he gets it. Final Fantasy VII, it is not bad at all!! 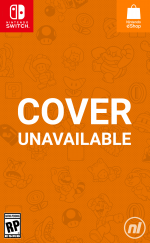 More Smash Ultimate, of course, and maybe some The Messenger and/or Cave Story+. 2. Just bought Assassin's Creed Odyssey!!! Pretty good so far. Humor is a bit cheesy, but fits the comic book/action movie setting. Another case of a game I thought about buying on Steam, but is more suited to Switch. @JoeDiddley In terms of SRPGs, I think you’ll really enjoy Devil Survivor. I played the original version; haven’t yet tried the Overclocked release or the sequel. Very engrossing. The basic mechanics are a mesh of traditional RPG battles and SRPG grid-style positioning. The elements come together nicely. And as someone who is typically indifferent to the narrative elements of games, I quite enjoyed the story, including the branching choices and outcomes. I believe the Overclocked version includes the “7th day” coda to the story, plus some other tweaks. I’ll have to go back to it sometime. @Wazeddie22 Thanks! It's getting better, but still pretty ouchy. I have a bit of arthritis, too, but thankfully not too bad yet. I have gotten back into Dark Souls this week. I'll be heading into blight town this weekend.......wish me luck. @Anti-Matter soo I have not played Pokemon since Red/Yellow some 20 odd years ago! I recently just bought a new 2ds xl, which Pokemon do you recommend for nostalgia/in anticipation for sword and shield. I’m not looking to play them all jut one or 2 of the best with good selection of original 151 Pokemon. I’m tempted to get ultra sun? Enjoyed let’s go pikachu but didn’t enjoy the levelling up/gotcha style that much. X if you like Xerneas, Mega Charizard type X, Mega Mewtwo type X.
Y if you like Yveltal, Mega Charizard type Y, Mega Mewtwo type Y. There are a lot of Legendary Pokemons here. My suggestion, buy BOTH of them if you want to get Giratina (need Dialga from Alpha Sapphire and Palkia from Omega Ruby), Rayquaza (need Groudon from Omega Ruby and Kyogre from Alpha Sapphire), Kyurem in Black and White form (need Reshiram from Omega Ruby and Zekrom from Alpha Sapphire), etc. My suggestion, buy BOTH of them for Legendary Pokemons once again, also you can get Xerneas again from Ultra Sun, Yveltal from Ultra Moon. And.... Returns of ALL 6 Villain teams from previous Pokemon games (Team Rainbow Rocket, Team Magma / Aqua, Team Galactic, Team Plasma, Team Flare) after Post game. Choose Black 2 if you want Futuristic looking town, choose White 2 if you want Natural environments. 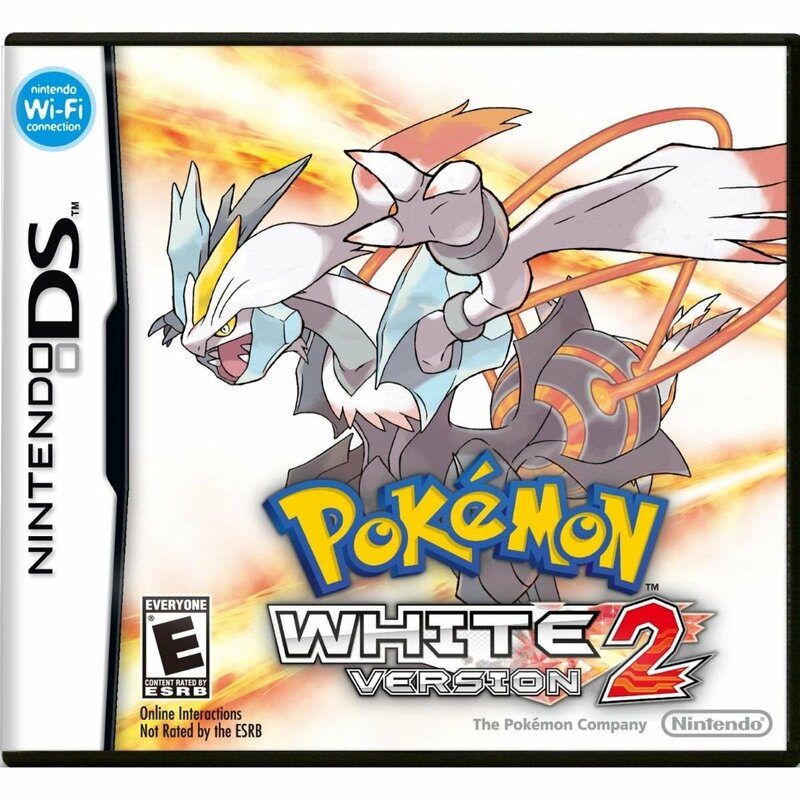 Choose HeartGold if you want to get Ho-Oh, SoulSilver if you want to get Lugia. Better than Diamond and Pearl since you can get BOTH Dialga and Palkia on Platinum. Very little for me this weekend on the Switch; evidently my youngest has totally fallen for Undertale and has asked to play it for all of his waking hours. Jest aside: Dirt Rally 2.0 awaits! Well.. I was hoping to get started on Yoshi but I don’t want to leave HK without finishing it so I’m going to put some more work into it. I just got the Grimm Troupe to town and most of my map looks pretty explored so I think I’m in the last bits of the game story wise at least. So I’ll get to Yoshisaur soonish! Working all weekend; but during my breaks, other than watching my Seagulls opt to fall rather than stand against Southampton (ugh), West of Loathing (opposite of ugh!). Sekiro mostly, which I recommend to anyone with the necessary hardware to play it. This game is just simply awesome. I want to get some Nuclear Throne on the Switch, but don’t think I’ll have time to play it until later. @Anti-Matter thanks, great list will look into this when I get home. I cant wait for Pokemon sword and shield. Think they’ve reignited my love for Pokemon, going to watch the I choose you remake movie tomorrow. Only hear good things about it. Yoshi has temporarily distracted me from making good progress with Octopath Traveler. I’m still working on cleaning up the backlog, and am returning to Octopath Traveler. I’ve completed four characters’ stories, am on chapter 3 for two more, and have yet to meet two characters. Any other gaming time will go to Wargroove and Crypt of the Necrodancer! Kirbys Extra Epic Yarn. Am hooked on the beautiful little charmer. Never got round to playing it on the Wii. @Matthew010 Yes, I played it a couple of years ago and thought it was great. Enjoy the game! @sfb great, I’m looking forward to it. I’ve never been hung up on story either. But enjoying tactics games has me dipping my toe into the RPG field for the first time. And I’m drawn to the themes of the SMT series, although potentially not the most beginner friendly as a gameplay experience. Sekiro mainly so far. I fear it’s going to be too hard for me to see it through. I used coop quite a bit to get through later DS3 bosses, so struggling at the start of Sekiro isn’t a great sign! Dark Souls 3 is an amazing game and Sekiro has kind of hooked me in the same way so perhaps it’ll end up being a slow burn over time. Switch wise I’m on FFVII and Xenoblade 1 on the Wii. Fiance and my sister have been on Yoshi Co Op on the telly, whilst I've been glued to FF7 on handheld. Been great! I’m going to play some Animal Crossing: New Leaf, Pokemon Yellow, and Link's Awakening. Final Fantasy VII. The year is 2019, and I'm playing FFVII for the very first time. Lol. Had some unexpected Labo as well this weekend, building the motorbike with the boy. Only got a few minutes to play it once it was done but will no doubt get chance to have another go on it soon. Finishing up Pokemon Sun and playing Yoshi's Crafted World. Once I finish Sun I'll be working on beating Let's Go Pikachu. @sfb: I managed to finish them all minus Clean House; I'm having issues dealing with the vacuum boss and might have to leave the floor level for tomorrow. It refuses to let go of an attachment that I was using on Vacuum Dirty Car and may need some disassembly at this rate. I'm gonna have to give it a break for now as my wrists are starting to hurt from messing with it. Having fun committing tax fraud at the moment. I always get hangovers on weekends ( lol ), so I usually dont play that much and instead watch anime, tv shows and or movies. I`ll play a little of: Diablo III, Splatoon 2, Horizon Chase Turbo and maybe some Wargroove. @JoeDiddley seeing as you like SMT and the 3DS — if you haven’t tried it already, you might also like Soul Hackers. It is an SMT offshoot that originally appeared on the Sega Saturn, and was ported to the 3DS many years later. Structurally, it is a dungeon-crawler at heart, laced with lots of SMT mechanics and lore. Another one with strong story elements. Not an SRPG at all, but you might enjoy it for other reasons — it holds up quite well for its age. Gonna keep playing Undertale this weekend. Hoping to plow through some other short games this weekend like Bastion and Transistor. @Tyranexx Wrist pain is a formidable adversary indeed. About three months ago, my primary care professional suggested I take turmeric and glucosamine daily, to ease inflammation related to things like wrist/ankle/knee pain. I followed his suggestion, and it seems to be working pretty well for me. If you have chronic issues in this area, you might consider the same. Yoshi's Crafted World already inspired me and a friend to build a fish out of an aluminum pie tin. It looks good! I love that level where you can ride a clown fish back and forth while paper plate fish sway in the background. That level has such great music box lullaby music! Anyways, I'm also enjoying Oh Sir an insult simulator, Nidhogg 2, Darius Cozmic Collection (great old games. Is this coming to the U.S.? Europe? ), Firewatch (really wish this ran at 60fps, not 30 and below, but I still love it), Donut County, Umihara Kawase Fresh! (based on this Japanese demo it looks to be the best version of the game yet), 12 orbits, Metagal, StarDrone, Kingdom New Lands, and Kingdom Two Crowns. Yoshi's Crafted World, Dead Cells and finishing Fire Emblem Awakening. Been out of town for a while and once again didn't take my Switch! Some Horizon Chase Turbo this afternoon, damn that game is slick. Yoshi's Crafted world is great! The world is so well made and the game play is good. Also, still playing Trials Rising. Those are two definitely different gaming experiences! One of the best online games that I've played and I still can't believe it's free. I'm getting back into Mario + Rabbids. I'm new to turn based strategy games but have found M+R a rewarding and hilarious introduction to the genre. This weekend is finally marked by Nelke and the Legendary Alchemist, with its characters and their ambitions and their challenges and personnel/resource juggling - and guess what, it really is a highly representative game to start with (something even Koei Tecmo's Twitter team in Europe commented on). Between the actually present but comparatively basic alchemy, plenty of time-limited goals and requests and much of the gameplay done through menus, Nelke plays very much like Atelier Marie beyond its town management aspect - except with the many QoL differences you'd dare to expect 20 years later. I'm already quite sold on the cast as well, partly thanks to the voicework (not everyone from the alterworlds gets voiced lines, but the alchemists sure do - and Marie's quiet giggle alone can charm), and they're all proving quite convincing in battle encounters - including, again, the alchemists who provide support and usually arrive with an array of familiar skills and a higher Drive point cap from the start. Well, what do you expect from a game that celebrates the series that celebrates alchemy? 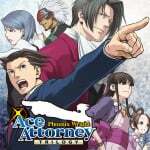 Scenes, events, investigations and weekday operations that make every turn last as long as many a Civilization one on my part but feel rewarding to get through, with regular detailed reports from the game itself... that's Nelke for you so far, and a lot of it is indeed a comprehensive digest of the franchise's many trademark components. @sfb: Hmm...I might ask my primary doctor next time I'm in. While the pain isn't chronic and isn't what I'd classify as severe, it's something I've dealt with on and off for the past year or so. Genetics are a part of it I think, but neither my job nor hobbies help lol.